Anne Cross is overseeing the restructure of the major not-for-profit UnitingCare Queensland. The century-old provider in Queensland and the NT is preparing a massive overhaul to respond to the changing sector and meet differing needs across metropolitan and remote areas. The reforms in the aged care and disability sectors together with increased contestability of government contracts and ever-challenging conditions for service delivery outside metropolitan areas has caused the perfect storm for many of the major not-for-profit providers. That’s compounded by the fact that aged care reforms will likely play out very differently in rural and remote areas compared to metropolitan and even regional locations, which will profoundly challenge providers operating in both the city and the bush. Anne Cross, CEO of UnitingCare Queensland, which provides services from 400 locations across Queensland and the Northern Territory, said that in her 30-year career she’d never seen anything like the current level of change in the sector. As a result of that change, Ms Cross is overseeing a major restructure at UnitingCare Queensland, to be implemented from July, which will involve a new executive structure for the organisation that has been operating for more than 100 years, employs 15,000 staff and has revenue of over $1 billion. Its established brands include Blue Care, Australian Regional and Remote Community Services (ARRCS), Lifeline, The Wesley Hospital and St Andrew’s War Memorial Hospital. A new leadership team will be installed, including a newly created group executive for customer services, while several current executives such as Robyn Batten, head of Blue Care and ARRCS, and Bob Gilkes, head of UnitingCare Community, will be leaving the organisation. Ms Batten will be joining the Borderless Healthcare Group in the middle of the year. “We have very good on-the-ground knowledge of what the circumstances are for people across Queensland and the Northern Territory, which led us to reflect on the differences in those communities and to imagine how the aged care reforms will play out in those locations – whether in Tennant Creek in the NT, Thursday Island in Queensland, one of the big regional centres or in the heart of Brisbane,” Ms Cross told Australian Ageing Agenda. The organisation’s regional and remote service would adopt a more “place-based approach” so as to tailor models and services that were appropriate for indigenous communities or small rural towns, Ms Cross said. That regional and remote stream, which would oversee the ARRCS, would work in partnership with community leaders and other services providers to develop and implement local solutions, she said. In contrast, in south east Queensland, where the full impact of aged care’s new market model would be witnessed and new providers expected to appear over time, the organisation needed to work in ways that were competitive, Ms Cross said. That south east Queensland stream, which would oversee Blue Care, would also focus on the delivery of integrated services as the provider already operates across a continuum of aged care from home-based to residential care and seniors housing, she added. Blue Care would continue as a brand, she confirmed. Two other business steams would oversee the group’s hospitals, and its child protection, homelessness and domestic violence services. The disability services would be led out of the south east Queensland stream and the regional and remote stream. A new stream covering customer service would oversee the organisation’s aged care call centre and its customer engagement strategies and sales, Ms Cross said. Ms Cross said that UnitingCare Queensland had committed to providing services in regional and remote Australia, and this had focused her attention on how the organisation overall was commercially successful given that providing services in the bush was a “break-even situation” at best. 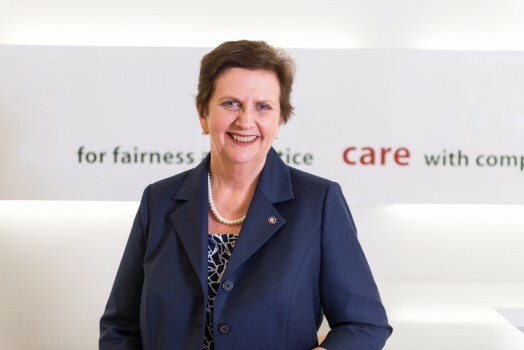 Ms Cross was speaking to AAA two weeks after an Aged Care Financing Authority report confirmed that aged care providers operating in rural and remote areas faced extra challenges in their financial operations with higher cost pressures and lower financial results. Providers needed flexibility and freedom to develop models to suit local needs and circumstances, she said. To that end she hoped the reforms, which required providers to work more closely with clients to tailor solutions, could stimulate innovation and partnerships in rural and remote aged care provision. Regulation had helped lift some of the quality issues but overall it was driving a fairly standardised approach to service delivery, Ms Cross said. A real demonstration of organisational commitment to country communities – well done UCQ! Lot of people not happy though!